The unsettled weather ,predominantly from the south-west again, has kept temperatures comparatively mild so buzzers have presented in autopsies.Teams of flies that include a black pupal pattern (or Diawl Bach ) together with the obligatory bloodworm imitation (pinkies remain must-tries ) have done well. Pulled worms were consistent too, as were the bigger lures, predominantly in black or white. The hot spots were,again,at the upwind (flat water)and down-wind (rough water) extremes, depending on wind strength/temperature. Such considerations are vital at any time of year, but more so in the winter months. Any accumulations of warmer water will harbor a lot of trout, usually eager to feed. This week it has been a double Christmas Bonanza! On Tuesday 17th Geoff Curry from Durham, hauled in the first Tagged fish of the week using a Bloodworm on the Doxford, netting him and his Fishing partner Bob Chicken a whopping £500! 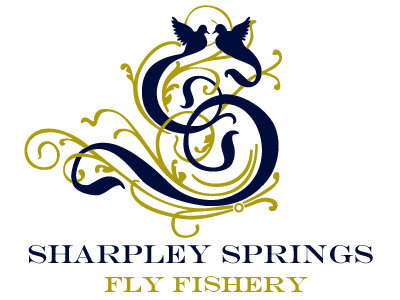 Geoff has been fishing at Sharpley Springs since 2004 and said he was delighted. Then on Thursday Andy Saunders from Newton Aycliffe caught the second Tagged fish on the Alice and Albert using a Zeech. Andy had a great mornings fishing , catching 12 fish in all, which included a 6lb brown and a 8lb Bow. Jimmy Drew from Wallsend also had a good morning on Thursday, catching 19 fish in total on the Hangmans and the Noose, using Hares ear and White Luce. John Hartland from Billingham caught a a 13lb beauty on the Doxford using a Diawl Bach and Alec Harvey from Cramlington caught a 12.5 pounder using a Zonker.